We starting to review all high-quality printing technologies, which we use to print your premium business cards, luxury wedding invitations, business stationery and packaging projects. In this article, we will write about the most popular high-quality technology cold letterpress printing. Letterpress printing was the normal form of printing text from its invention by Johannes Gutenberg in the mid-15th century until the 19th century and remained in wide use for books and other uses until the second half of the 20th century. 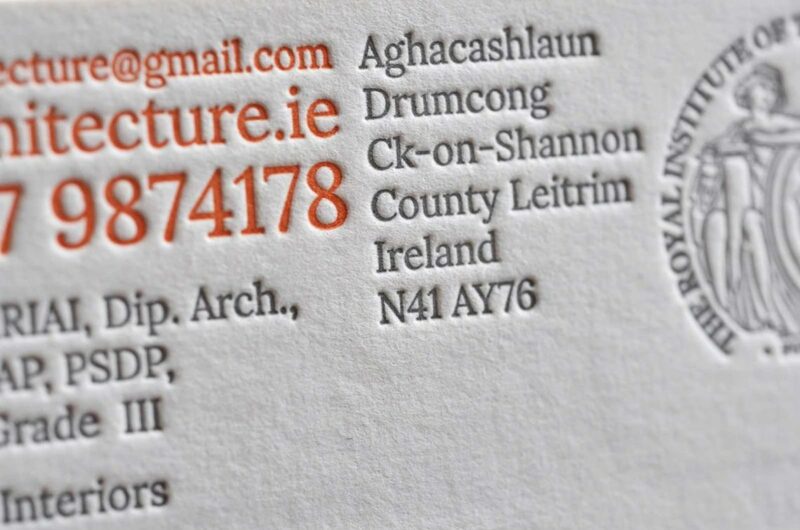 Nowadays letterpress is very popular for high-quality premium business cards or stationery printing when letters or other objects are inked and impressed into the paper. Mostly for letterpress we recommend to use cotton papers which are soft and thick, with beautiful tactile surface texture. Cotton papers reproduce and hold impression very well. 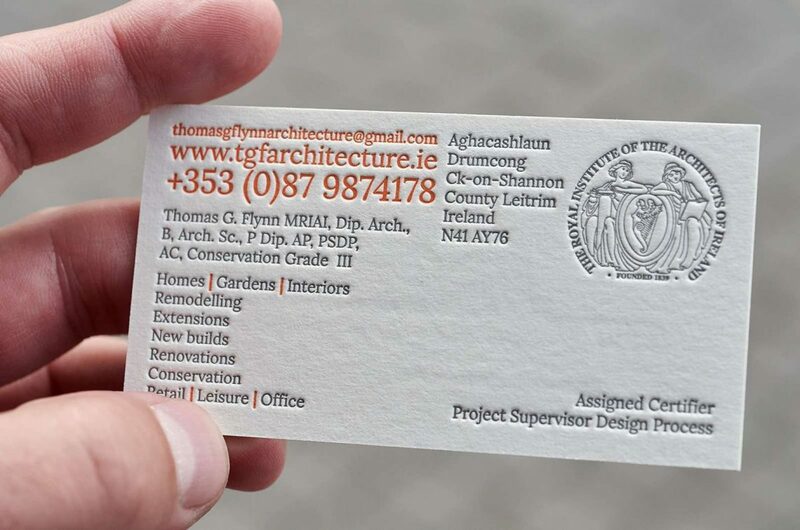 Professionally printed business cards look really impressive. Perfectly fits for sharp texts, nice even thin lines and deep impressed bold objects printing. Check out for more samples on our gallery page. 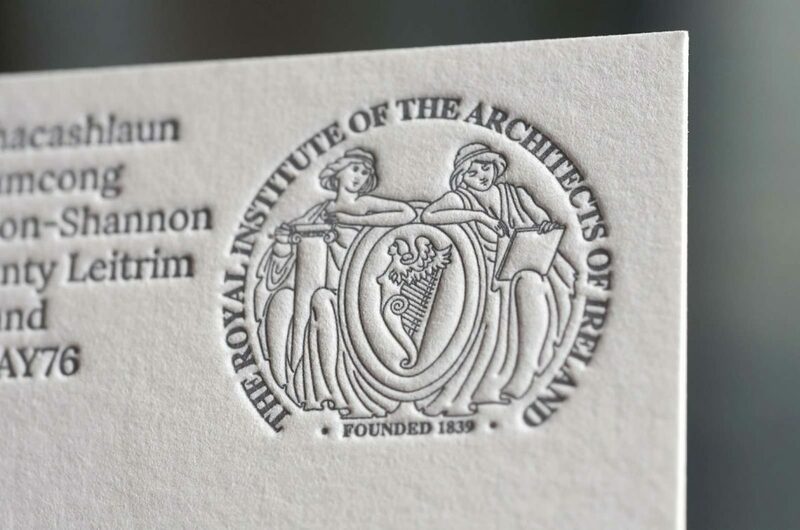 Letterpress is an old traditional printing technology, in this case, it has some design restrictions. Please read our design guidelines if you want that your artwork for letterpress would be done in a right way and would meet letterpress requirements. Nice sharp ink coverage for small and bold objects. Impression. Pressed objects into the paper (deboss) looks and feels really fantastic. For letterpress, we use only premium matte papers, which makes first impressions more impressive with a distinct crispness and an unmistakable feel. Each color we print separately. Due to the multi-step process and custom plates, letterpress can be expensive. On dark papers, we can print only metallic (silver, gold) and black inks. We unable print any other color on dark papers because paper shows through ink in letterpress printing.